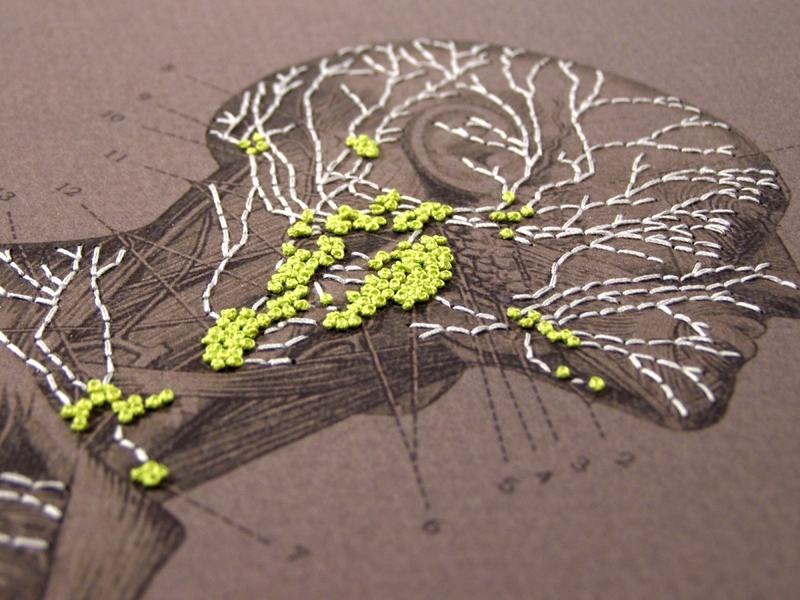 Lymphatic System and Lymph Nodes. 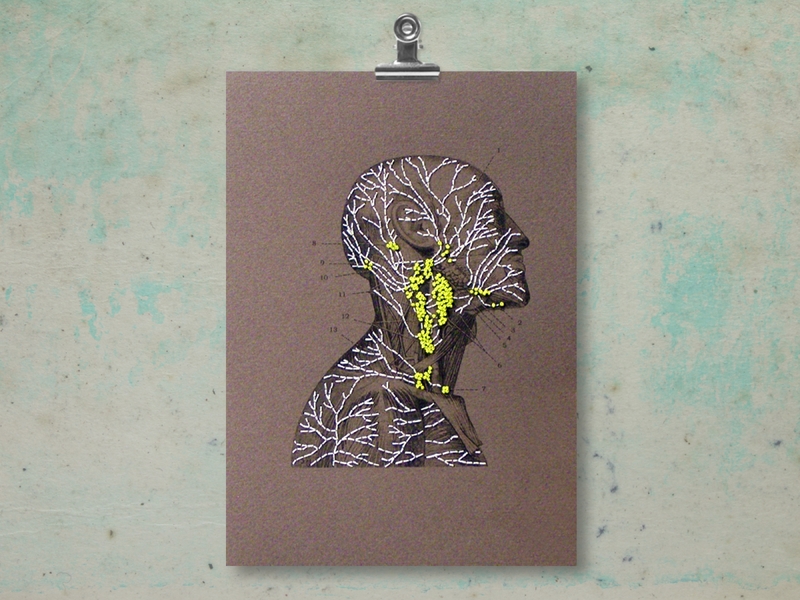 Anatomical Paper Embroidery art. 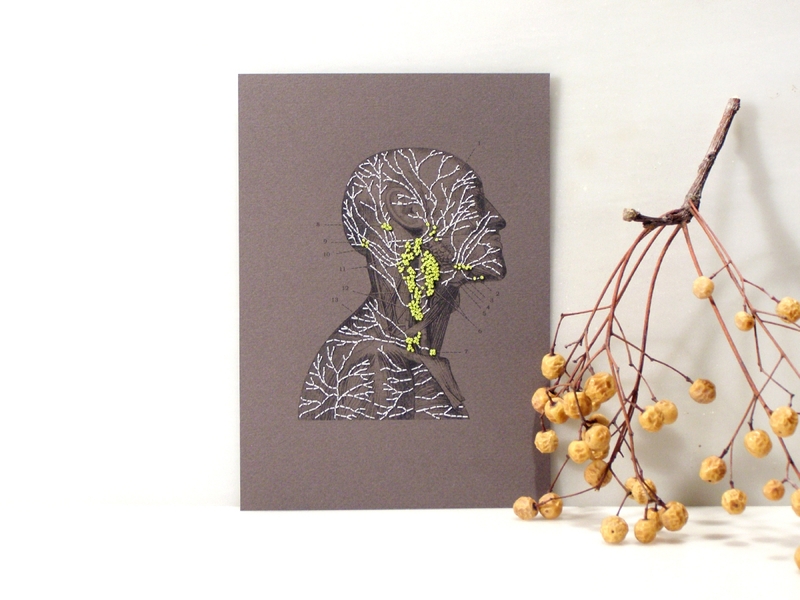 Hand embroidered Vintage Anatomical Head print, showing in great detail the structure of the Superficial Lymphatic System and Lymph Nodes, in silver white cotton threads for the Lymph Circulation and lime cotton threads for the Glands creating a three dimensional effect on a brown card stock. 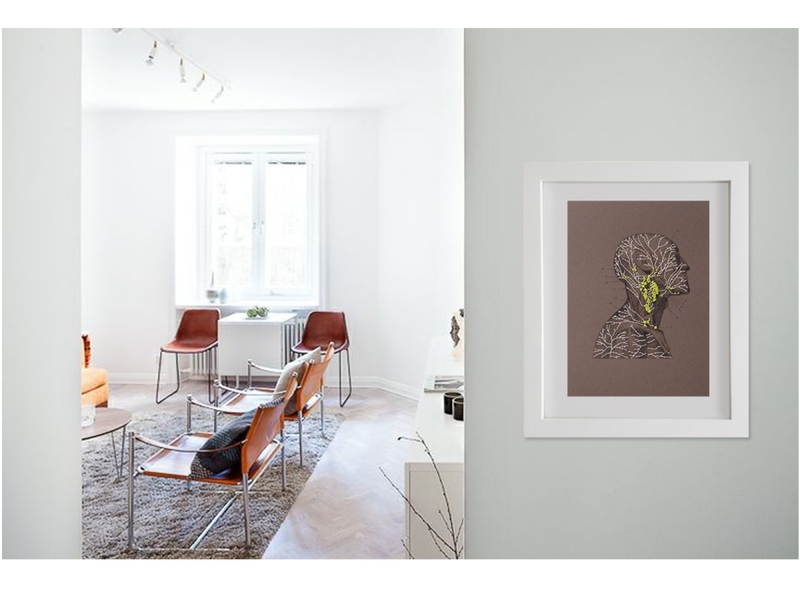 A different piece of art, with a modern view of a vintage anatomy print. You will receive the item asyou see it in the last photo. Take a look at a digitally assembled presentation in space with different mats and frames showing different results. Stamped and signed at its back. 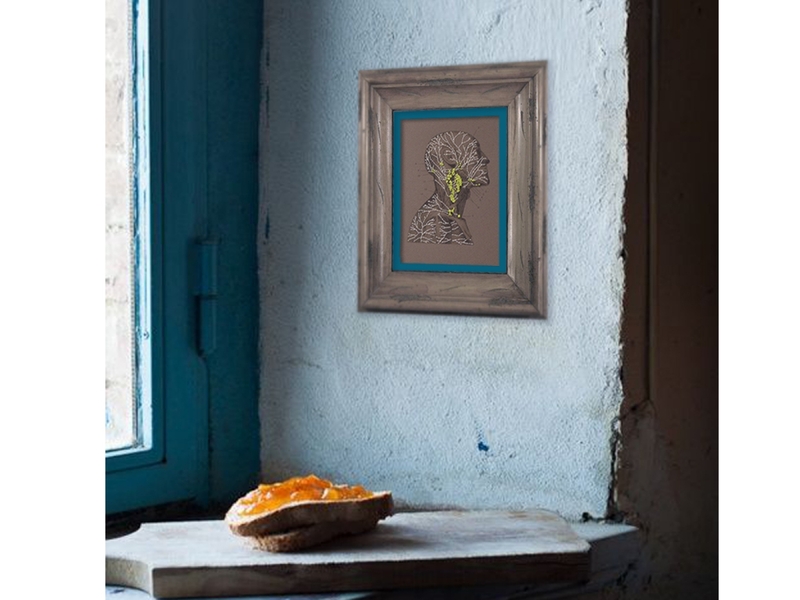 Decoration, frames, mats etc. shown in the photos are not included. Will be shipped protected in a cardboard envelope.